I think I’m entering a dry spell! I’ve read a few good books lately (see below) and I have a few books on hold (that are a very long wait right now) but other than that I don’t have anything I’m really looking forward to reading right now. I need some ideas! Send them my way! I’m not sure how this book even got on my radar but I’m glad it did! It takes place in Austria. The main characters are police detectives Beatrice and Florin. A woman’s body is discovered and there’s a strange tattoo on her feet–letters and numbers. They discover it’s coordinates and one of their young assistants introduces them to the world of geocaching. The coordinates lead to a cache where they discover body parts from a second victim. Then the race begins to solve the murders and catch the killer before too many have to die. It was a REALLY clever story and the ending, or “whodunit”, was very creative and well done. It was a good book! In the last book the story left off with a terrible tragedy to Detective Jimmy Perez. I wasn’t sure how they were going to deal with it in this story but they did it well. Perez was grieving, living in his depression, but a murder on his island starts to bring him out of his funk. A new detective comes to town, Willow, and she’s good. She manages to pique Perez’s interest in the case and he begins to assist with small interviews and tasks and then he’s wrapped up in it. The story was pretty good and left me guessing until the very end. I was 10 years old when I first read “Jurassic Park”. We were camping at Alta Lake in Washington, where I swam in the lake and spent hours wandering around the campground hiking trails. I also read the book three times–because I loved it so much and I also ran out of books to read, so just read Jurassic Park a few more times. 🙂 For some reason, I couldn’t remember if I’d ever read The Lost World. I saw the movies. But couldn’t remember the book–so I got it at the library (and still couldn’t tell if I’d read it or not!). It was a fast read, not quite as good as the original, but still exciting. I liked it better than the movie, of course. It was easy to follow and a real page turner and I found the science discussions around extinction and the dinosaurs on the island in the “lost world” fascinating. There are two stories. The first is about Vivian (or Niamh) in the 1920’s. Her family comes to New York through Ellis Island from Ireland. Tragedy strikes and she’s suddenly an orphan. She’s put on a train with other orphans and the train goes from New York to the Midwest, stopping periodically in towns where random strangers pick and choose which orphans they want to adopt. Of course, a lot of them are picked to be basically slaves and housemaids, not as kids to be loved like family members. Vivian’s story is both poignant, horrible, tragic and happy. She’s placed with several different families before finally finding one that cherishes her. The second story is modern times. Molly is a foster kid that is 17, about to age out of the system, and bouncing around foster families that are just doing it for the money. Molly and Vivian meet and their story intertwines. The books is so good. I cared less about Molly’s story and wished it had focused entirely on Vivian, but it came together in the end and I didn’t mind it so much. Read this book! Sherman McCoy works on Wall Street and is a “Master of the Universe”–except he’s kind of a despicable person. Cheating on his wife. Among other things. One horrible night, him and his mistress are involved in a hit-and-run in the Bronx and a good kid in the projects is injured, and may be dying. Larry Kramer is an assistant DA, also kind of a despicable person but trying to do a good job, gets the case. 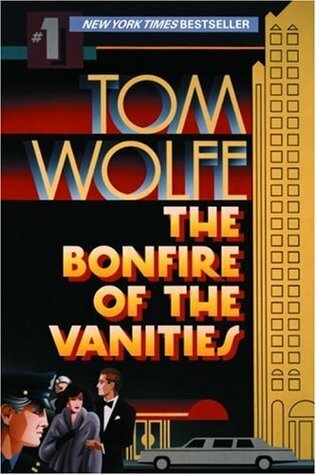 It’s New York in the mid 80’s, it’s racially and politically turbulent and a fascinating look back in time. Sherman’s world implodes and the story is about his fall. It was a good book, a bit dated, but still relevant in a lot of ways. In the end you kind of feel sorry for him! I think I am finally caught up on this series! BUMMER! Detective Jimmy Perez is back, and so is the new inspector, Willow, that was introduced in the last book. They team up again to investigate a disappearance and a murder. A group of posh friends travel from London to Shetland for a friend’s wedding. They stay in a house together and Eleanor spots a mysterious child dancing in the fog and thinks it might be Peerie Lizzie. 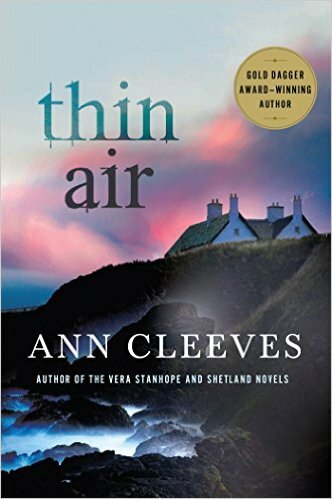 70 years ago Peerie Lizzie disappeared and her ghost has been haunting the island, except the myth evolved into almost a blessing–if a childless woman spotted Peerie Lizzie in the fog, she would suddenly be able to conceive a child. Eleanor recently suffered a late miscarriage and has been depressed–until she sees the ghost. The story continues when Eleanor disappears and then her body is found. Who killed her? And who is this “ghost” that her friends keep seeing? It was a really good story and I loved the main characters who returned! So that’s what I’ve read lately. Read anything good lately? I need some recommendations! The Mountain Story by Lori Lansens was super good! It’s the kind of book where they tell you something really big near the beginning (so don’t worry, you’re not reading a spoiler if you read the back or anything) but you’re still guessing about the specifics all the way through. It’s about a teenage guy who crosses paths with three women on a hike on the top of a mountain, and they all get lost together. It was really believable and had great writing. I got a digital copy from the library, I’m sure they have print versions too. The way it tells you something big at the beginning reminded me of Bel Canto – you’ve probably read that but if not, it’s terrific too! Oooh! Thanks! That sounds like it’s right up my alley. Checking to see if my library has it now. I just ordered The Orphan Train–in paperback because it was cheaper than Kindle! Two books that have had me binge reading lately are Who Do You Love, by Jennifer Weiner, and I Regret Nothing, by Jen Lancaster. Orphan Train was great! Hope you like it. Thanks for the other tips. I’ve read some of Lancaster’s books but not those. I’ll look them up. I recently read the Wayward Pines trilogy by Blake Crouch. I only ordered the trilogy because it was free on my Amazon Unlimited trial. Wow! I could not put these books down. So fast moving with an intriguing and original premise. Part thriller and part science fiction (which is not a genre I typically read). I’d read several very slow moving books in a row and this was just the antidote I needed. I’ve already down loaded samples of Orphan Train and the Ann Cleeves books. I always find something I enjoy reading from your recommendations. Thanks! Loved the Wayward Pines trilogy! I also got it free last year on my kindle through Amazon. Great books! Read them in like a day. Glad you are getting some good recommendations from my posts. Let me know what you think of the Orphan Train and Ann Cleeves books. 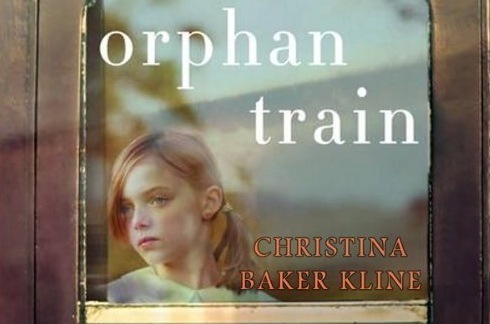 I loved Orphan Train it was a piece of history that I knew nothing about. 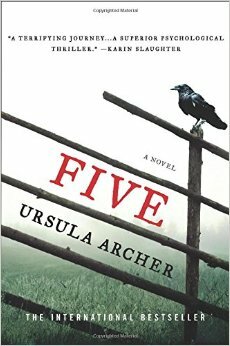 The book Five sounds right up my teens alley so I’ll have to check it out for him. Right now I’m reading The Last Summer at Chelsea Beach by Pam Jenoff but unfortunately it’s been so busy I haven’t picked it up since Labor Day! Hopefully this week I can get back to it a bit. I love when you do your book posts! Yeah I didn’t know anything about the history of the Orphan trains. It was so sad! I just read Trail of Broken Wings – it was a poignant family story. I just got Mindy Kalig’s book for a fluffy contrast! Trail of Broken Wings sounds fascinating. Thanks for the recommendation! Dead Wake by Erik Larson was fascinating! A bit slow to start, but keep with it and I think you’ll really enjoy it! I also liked Bone Gap by Laura Ruby, very original…odd but good. Have you read the Ruth Galloway mysteries by Elly Grifiths? Enjoyed those as well. LOVE the Ruth Galloway series. That’s one that I always buy for my kindle because I don’t want to wait for the library book. Dead Wake is on my to-read list. I’ve read his other book (can’t remember the name of it now) but this one sounds really good. Thanks for the suggestions! 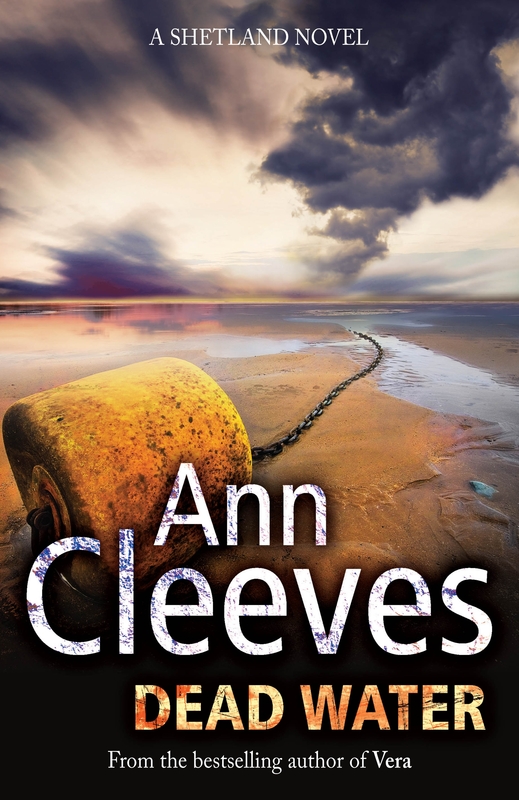 The Ann Cleeves books look really good. I can never remember to whom I have made what suggestion, so forgive me if I repeat myself. The Jimmy Paz books by Michael Gruber are very good – they were the first Gruber’s I had read and have since read almost all of his, including the Robert K Tannenbaum books he is supposed to have ghost-written. Let Me Tell You, by Shirley Jackson – short stories and essays that I’m really enjoying right now. Have you read the Dana Stabenow books with the character Kate Shugak? There are a bunch of them and they take place in Alaska – I have really enjoyed them. Hopefully this might give you some ideas. Happy reading! Lots of ideas! Thank you!!! !